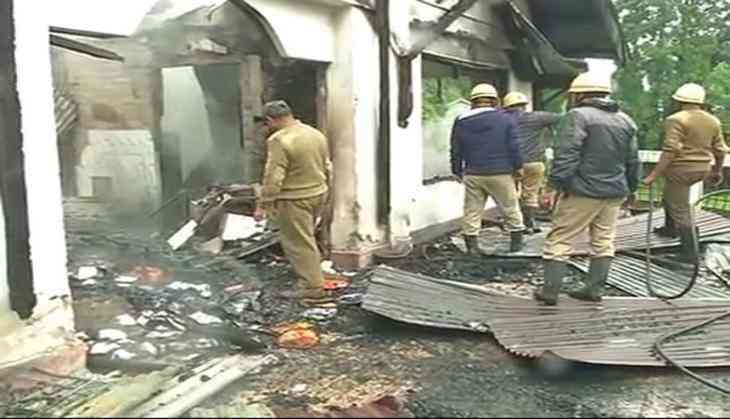 Amidst the ongoing protests in Darjeeling, the Public Works Department ( PWD) office of the Gorkhaland Territorial Administration (GTA) was set ablaze on 28 June morning. Earlier on Tuesday, the Gorkha Janmukti Morcha (GJM) burnt copies of the tripartite GTA accord at several places in Darjeeling. The landmark GTA accord was signed on July 18, 2011 between the Centre, Bengal government and GJM, paving the way for a semi-autonomous body to rule the hills. The burning of the accord symbolises total rejection of the agreement into the struggle for statehood. The GJM took out a 'Tubelight' rally in Darjeeling. Thousands of morcha supporters came down on the streets to take part in the agitation.